You can apply the find and replace tool in positions and projects, profile systems, items and, colours. Right click the position you wish to change. Select „ Edit“ > „Find and Replace“ in the context menu. In the following menu you can select the replace mode. 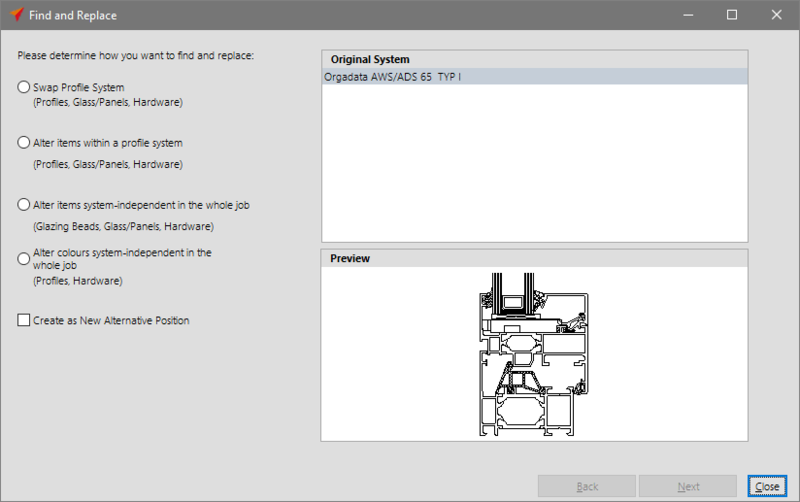 If you wish to change the complete profile system – including profiles, fillings and hardware – for a position select this mode. Click the button „“Next“. In the following window you can select the system you want to replace. The first line shows the starting system. Select the new profile system under „Replace With“. Below you determine the profile system, gasket and glazing bead variant, and if necessary the sub-system. From the table column in the following programme window you can select the items that you wish to replace. 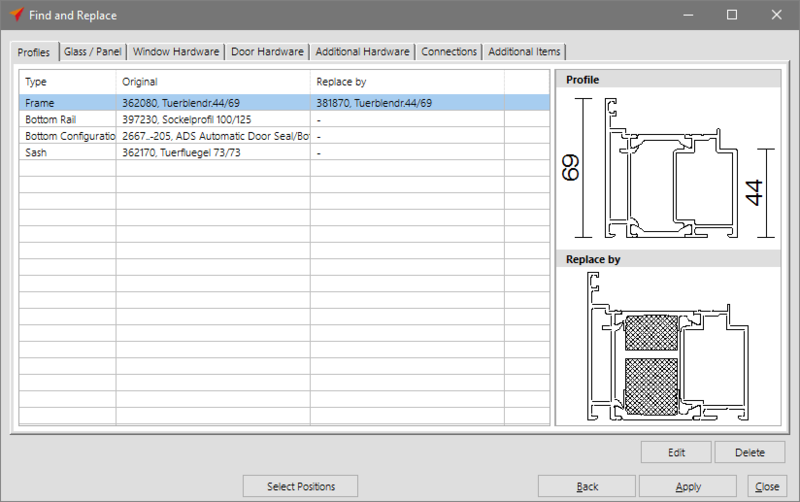 In the upper area you will find the tab with the categories „Profiles“, „Fillings“, Window Hardware“, „Door Hardware, „Additional Hardware“, „Connections“, and „Additional Items“. Here you can replace all items step by step. Finally click the button „Apply“ and the replacements will be carried out by the programme. 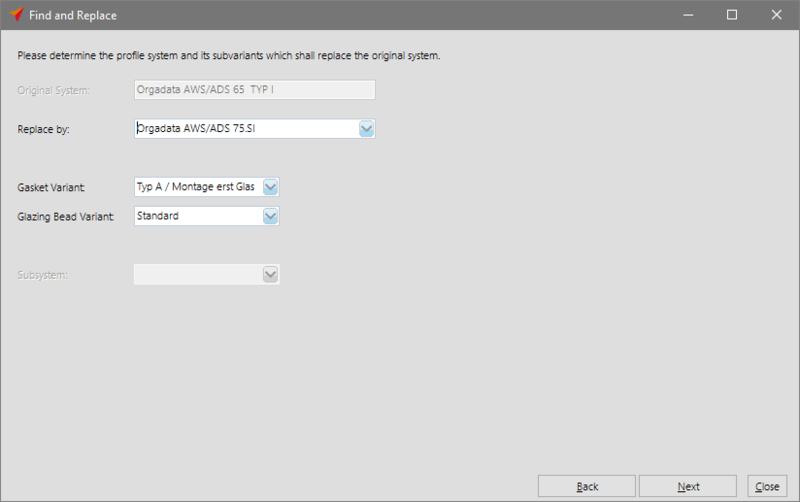 In order to only alter the items of one position such as profiles, fillings, and hardware, click this option. The profile system remains the same. 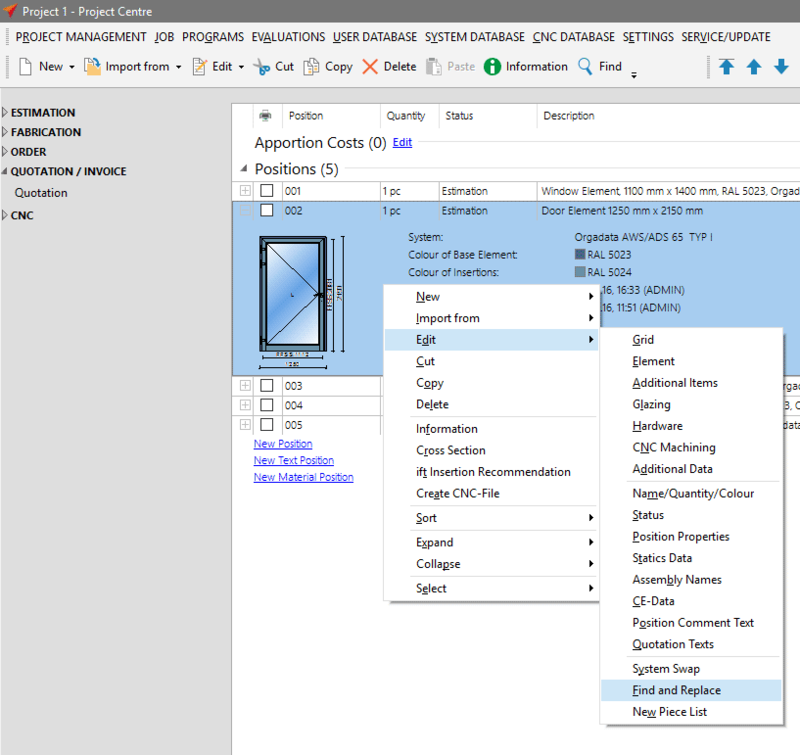 Select this function if you wish to alter items for glazing beads, fillings, and hardware in all positions in the whole project. The profile system will not be altered. Select this function if you wish to alter all surfaces and colours for all positions in the whole project.